A stud farm, equestrian facilities, outbuildings and a contemporary manor house, with some 42 hectares, in the midst of the Auge region. 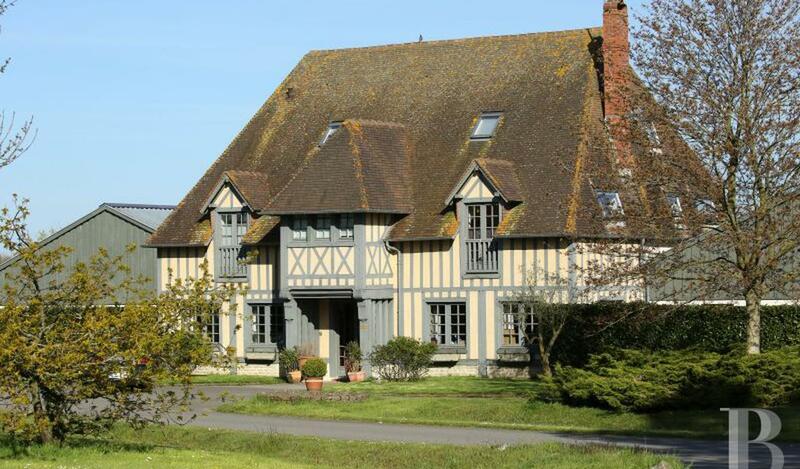 Very near to the Lower Normandy coast, 20 km from Deauville's International Equestrian Complex. Paris can be reached via motorway or via Lisieux and Pont-l'Evêque stations, with their 2-hour train links. Shops and amenities are a 5-minute car ride away. In a village that marked writer, André-Gide's childhood and where he lived until he was 30 years old. The landscape, featuring meadows and woods surrounding several farms, was included in his work, bearing permanent witness to the stories that he confided to paper. The entrance to the stud farm, on the outskirts of the village, comprises a large driveway, bordered on both sides by grasslands where thoroughbred horses appear to be straight out of a stereotyped image. At the end, an impressive, Norman-style, contemporary residence, used for administrative purposes, is an indication of the size of this estate. 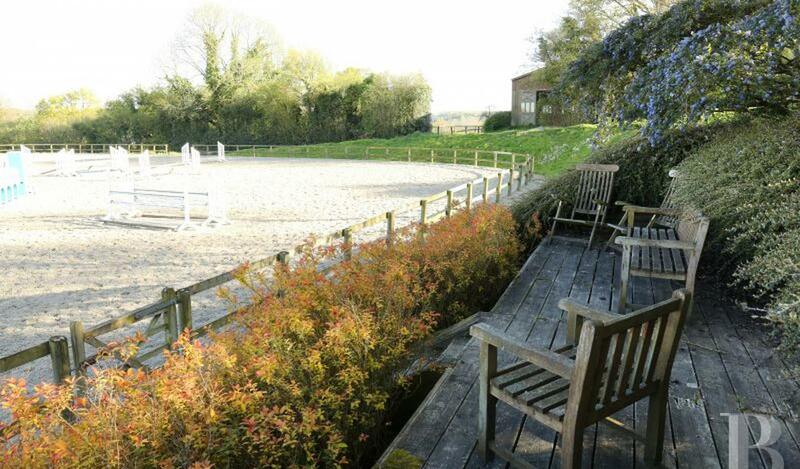 The equestrian outbuildings, a little further on, dominate the grasslands and paddocks. A through driveway, a few hundred metres long, leads to a manor house, surrounded by meadows and valleys. Its haughty, sculptural silhouette is an integral part of the premises' stateliness. Inside, alternating stone and wood give the rooms a warm atmosphere. An infinity swimming pool, on the south side, dominates the verdant countryside such that residents are also completely immersed in silence and tranquillity.